← caught you, little fox! Recently I had another round of tag game with my flickr contact Kaye Lewis – a lampwork and jewellery artist from Oxford. You won’t believe but her eye was caught with my another sea structure brooch. 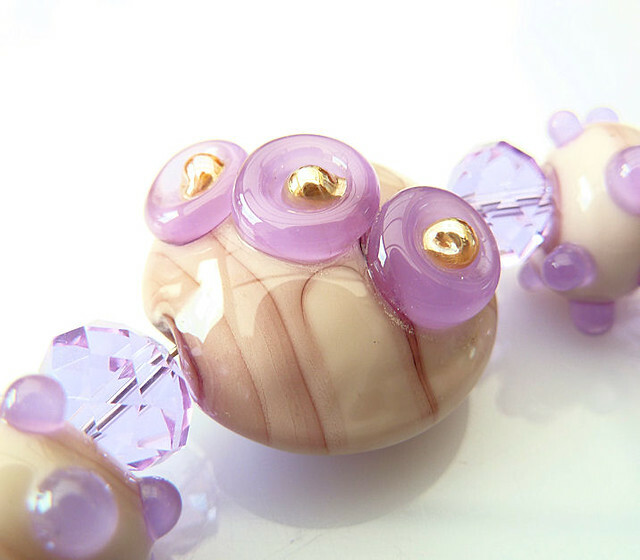 Kaye made a set of ‘poddle’ beads, which literally blew my mind. In contrast with my bright colours style, she used very gentle and natural pastel palette. Transparency gives additional feeling of ‘water’ – you literally feel these sea anemones are alive! Her texture of ‘stones’ is amazing! I was so amazed that I decided to try the same palette to achieve similar effect. However, I was limited by crochet technology and materials, but I tried to get best of it. Through the work I was so carried away by this experiment and I ended up with a set of brooches. Thanks to Kaye, I could see the beauty of pastel colours which I never used before. 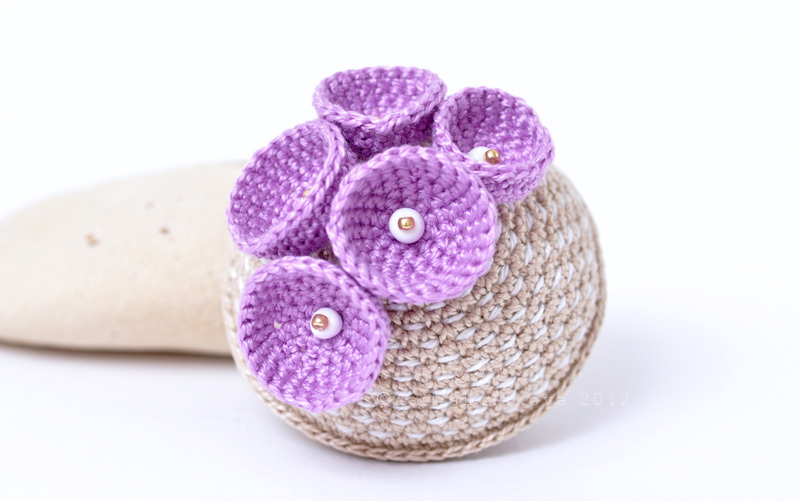 This entry was posted in Posts and tagged brooch, crochet, seastructure. Bookmark the permalink.